Artist "Gerald Finley, Bergen Philharmonic Orchestra & Edward Gardner"
This Canadian bass baritone is one of the leading singers and dramatic interpreters of his generation, with award-winning performances and recordings on CD and DVD with major labels and performing at the world’s major opera and concert venues in a wide variety of repertoire. His recent awards include a Grammy for Best Opera Recording 2012 (Dr. Atomic from the Met) and Best Solo Vocal Recording for his CD of Britten Songs (Hyperion) at the 2011 Classic FM Gramophone Awards for an unprecedented third time. This followed the same award in 2009 for Schumann's Heine settings as well as in 2008 for his CD on Hyperion of Songs by Samuel Barber. He was honoured at the 2009 Opera News Awards for distinguished achievement. His active relationship with leading conductors including Sir Simon Rattle, Bernard Haitink, Alan Gilbert, Mariss Jansons, Esa Pekka Salonen and Sir Antonio Pappano, has been part of a flourishing career. In opera, Mr Finley has sung all the major baritone roles of Mozart. His Don Giovanni has been seen in New York, London, Paris, Rome, Vienna, Prague, Tel Aviv, Glyndebourne and Budapest, and recently at the festivals of Salzburg and Munich. As Count Almaviva in Le nozze di Figaro, his appearances include the Royal Opera Covent Garden (Best Opera DVD 2008 - Midem), Salzburg Festival (2007, 2009), Paris, Amsterdam, with further appearances at the Metropolitan Opera New York, Vienna's Staatsoper and Munich's Bayerische Staatsoper. In recent years, acclaimed appearances have included returning to Toronto as Verdi's Falstaff, at Chicago Lyric Opera as Wolfram (Tannhäuser), at the Met as Nick Shadow with James Levine, in the title role of Rossini's Guillaume Tell at Covent Garden, the Met and in Munich and as Hans Sachs at the Opera de Paris and Glyndebourne in two celebrated productions of Die Meistersinger von Nürnberg. After a huge critical success as Lear at the Salzburg Festival, this season he will sing Athanael in Thais at the Met, make his role debut as Scarpia at Covent Garden, and sing Amfortas in productions in Baden Baden and with the Berlin Philharmonic. In his many seasons at Glyndebourne, his roles have ranged from Figaro to Nick Shadow and Owen Wingrave, from Agamemnon to Don Giovanni. In 2011 he had an overwhelming triumph in his first ever portrayal of Hans Sachs, which he repeated in 2016, in Sir David McVicar's celebrated production of Die Meistersinger von Nürnberg, which is now available on DVD (Opus Arte). Further roles at the Metropolitan Opera New York have included Guillaume Tell, Don Giovanni, Marcello in La boheme, and Golaud in Pelleas et Melisande. At Covent Garden, his extensive repertoire has encompassed acclaimed performances of Rossini's Guillaume Tell (on DVD), Wagner's Amfortas (Parsifal) Tchaikovsky's Onegin and Yeletsky, and as diverse as Frank/Fritz in Die tote Stadt, Creonte in Haydn's Orfeo and Handel's Achilla (Giulio Cesare) and Argante (Rinaldo). Concert performances have recently presented him as a commanding success in the title roles in Dallapiccola's Il prigioniero with the NY Philharmonic and Bayerische Rundfunk Orchestra, as Rossini's Guillaume Tell with the Orchestra of the Accademia di Santa Cecilia, Rome, recorded live for EMI with Sir Antonio Pappano, as Athanael in Massenet's Thais in Paris, as Zurga in Les pêcheurs de perles at Covent Garden, and as a "peerless" Iago in Verdi's Otello with Sir Colin Davies and the London Symphony Orchestra, available on CD on the LSO Live label. This was awarded Editor's Choice by Gramophone magazine, and was nominated for the 2011 Opera Award. In contemporary opera, Mr Finley has excelled in creating leading roles, most recently Howard K. Stern in the world premiere of Mark Anthony Turnage's Anna Nicole at the ROH Covent Garden. He also notably created to huge acclaim the role of J. Robert Oppenheimer in John Adam’s Doctor Atomic (New York Met, ENO London, San Francisco, Chicago and Amsterdam) and he features on DVD in both productions (Sony and Opus Arte). For creating the role of Harry Heegan in Mark Anthony Turnage’s The Silver Tassie at ENO, he earned a nomination at the 2000 Olivier Awards for Outstanding Achievement in Opera and won the prestigious Royal Philharmonic Society Award for Singers. He took the lead role of Jaufré Rudel in Kaija Saariaho’s L’amour de loin for the much-acclaimed premieres in Santa Fe, Paris and Helsinki. In addition, Mr Finley created the role of Mr. Fox in Tobias Picker’s Fantastic Mr. Fox in Los Angeles. At the 2017 Salzburg Festival, he performed the title role of Aribert Reimann's Lear to great critical acclaim. His work with orchestra in concert is equally prestigious, and he has featured in recordings of Haydn, Handel, Brahms and Mozart. In recent seasons, he has premiered new works written for him including Peter Lieberson's Songs of Love and Sorrow with the Boston Symphony Orchestra, "True Fire" by Kaija Saariaho at the Los Angeles Philharmonic with Gustavo Dudamel, and he premiered and recorded a new orchestral work "Rubáiyát" written for him by the late Finnish composer Einojuhani Rautavaara with the Helsinki Philharmonic and John Storgårds. Other premieres include the work for Baritone and Large Ensemble written by Mark Anthony Turnage called The Torn Fields with the LPO and When I Woke (these available on the LPO Live label), as well as a new piece called Reflections on L’amour de loin by Saariaho. He is a frequent guest of many orchestras throughout Europe and the US, including Elijah with the New York Philharmonic Orchestra and Alan Gilbert, in Beethoven's 9th Symphony in Lucerne with Bernard Haitink, and also with the Bayerische Rundfunk Orchestra with Mariss Jansons, the Concertgebouw Orchestra with Adam Fischer and the London Philharmonic with Vladimir Jurowski. Recently released are his recordings of Mozart’s Requiem, Handel's Messiah and Beethoven's Missa Solemnis with Nikolaus Harnoncourt, Britten’s War Requiem with the LPO and Kurt Masur for Chandos, and LSO Live’s Beethoven 9th Symphony with Bernard Haitink. His Chandos CD of Stanford’s Songs of the Sea, with Richard Hickox and the National Orchestra of Wales, received the Editor’s Choice Award at 2006 Classic FM Gramophone Awards. His recording of Shostakovich's Romances on English Lyrics and Michelangelo Sonnets on the Ondine label with the Helsinki Phil and Thomas Sanderling has been widely acclaimed. 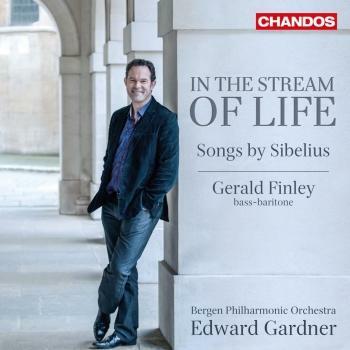 A new recording of orchestrated Sibelius Songs with the Bergen Philharmonic under Edward Gardner was released by Chandos in 2017. Concert highlights of recent seasons include appearances with the Concertgebouw Orchestra and Mariss Jansons in Brahms's Ein Deutsches Requiem, with the Bavarian Radio Orchestra in Haydn's Nelson Mass and Schönberg's Survivor from Warsaw, with the Czech Philharmonic in Mahler Songs, and with the LA Philharmonic in Lutoslawski's "Les espaces de sommeil". In Toronto, he has sung Brahms' Requiem amd Lieberson's Songs of Love and Sorrow. He was asked to perform the bass solos at the memorial concert for Nikolaus Harnoncourt for a performance of Mozart's Requiem at the Muzikverein in Vienna. As a recitalist, he works regularly with Julius Drake, appearing throughout Europe and North America. Recent recital appearances have included Tanglewood, Ravinia, and Edinburgh Festivals, and Toronto, Montreal, Vancouver, San Francisco and at New York’s Carnegie-Zankel Hall, as well as the prestigious venues in Europe including Vienna, Frankfurt, Helsinki, Amsterdam, Brussels and London’s Wigmore Hall. Great successes at the Schwetzingen Festival and the Schubertiade Schwarzenberg has confirmed Mr Finley’s reputation as one of the foremost recitalists today. He presented recitals with Sir Antonio Pappano in London and Berlin in 2016. In addition to a North American coast to coast song recital tours, he has had a residency at Wigmore Hall in programmes of Schubert, Liszt, Sibelius, and Rautavaara, culminating in Schubert's Schwanengesang, also presented at Schwarzenberg's Schubertiade. Last season he was resident at the Barbican Centre in London, presenting a recital with Sir Antonio Pappano, and presenting concerts performances of contemporary work, True Fire by Kaija Saariaho, and Dr. Atomic, by John Adams. His recital work continued at the Wiesbaden Festival and at Vienna's Konzerthaus. Mr Finley’s Hyperion Records CD release of Britten's Songs and Proverbs, has met with critical praise, winning the 2011 Gramophone Award in the Vocal Solo category for an unprecedented third time. Great Opera Arias in English, performed with the LPO and Edward Gardner on the Chandos label, has received outstanding acclamation, including the Canadian Juno Award 2011 in Vocal or Choral Performance. Also on Hyperion Records was a critically well-received CD of Songs by Ravel, nominated for the 2010 Juno Awards. His CD of Dichterliebe and other Heine settings by Schumann, has also achieved much international critical success including the Best Solo Vocal Recording at the Classic FM Gramophone Awards 2009. Songs by Samuel Barber won the Best Solo Vocal Recording category of the 2008 Classic FM Gramophone Awards, and the Charles Ives Songs Romanzo di Central Park was nominated in the same category. He has also released a recording on the Wigmore Live label, the 25th of their series, of songs by Musorgsky, Tchaikovsky and Rorem, which was nominated for BBC Music Magazine Award 2009. In 2009 and 2006 he was nominated “Artist of the Year” in the Gramophone Awards. At the 2008 Canadian Juno Awards he received two nominations in the 'Classical Album of the Year: Vocal or Choral Performance' category, in a nod to his contribution to the CD Schubert Among Friends (Marquis Classics) along with the Songs by Samuel Barber. His disk of Vaughan Williams’ Songs of Travel (CBC Records) with pianist Stephen Ralls won the 1998 Canadian Juno Award. Hyperion supplemented their Schubert catalogue with Mr Finley's version of Winterreise, and it has met with outstanding critical acclaim including the Canadian Juno Award 2015. Recently, Hyperion presented Mr Finley in the baritone song volume of Franz Liszt project. Film credits include a release on DVD as Owen in Channel 4’s film of Britten’s Owen Wingrave, BBC2’s The Holocaust – a Music Memorial film, filmed at Auschwitz in 2004, and In Search of Mozart, by Seventh Art Productions. He also appears in the film Wonders are Many, a film of the making of the John Adams opera, Doctor Atomic. 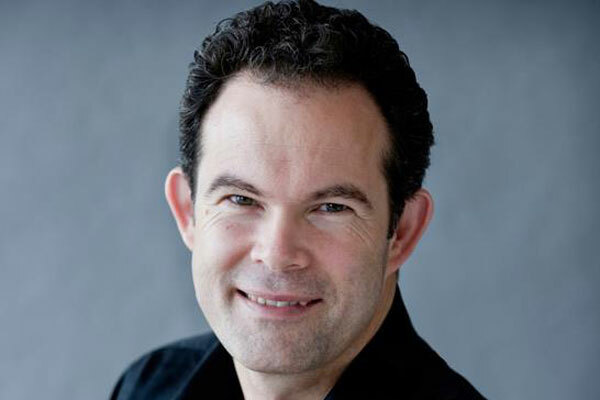 Gerald Finley began singing as a chorister in Ottawa, Canada, and completed his musical studies in the UK at the Royal College of Music, King’s College, Cambridge, and the National Opera Studio with the support of the Friends of Covent Garden, the Worshipful Company of Musicians, the Keith B. Poole Scholarship and the Countess of Munster Musical Trust. He was a winner of Glyndebourne’s John Christie Award. He is a Visiting Professor and Fellow of the Royal College of Music, and works with the young artists of the Lindemann programme at the Met and the Jette Parker programme at Covent Garden. He gives masterclasses throughout the world whenever his performances allow, including the Juilliard School, the Curtis Institute, and the London colleges. He currently continues his singing studies with Gary Coward in London. He was appointed an Officer of the Order of Canada in July 2014, and was appointed a Commmader of the Order of the British Empire in 2017. He climbed Mount Kilimanjaro in August 2014 to raise funds for Help Musicians UK, raising over $10000.